The PNG Hunters fans continue to will their team to a finals berth and they would have been cheering loudly today after their side registered an important 20-10 win over the highly ranked Burleigh Bears at National Football Stadium. They had to fight back after trailing at halftime 10-6 after an early double to Bears winger Troy Leo ; while a rare off day with the boot from Ase Boas would have caused stress levels to rise with the fans in the stands. However, they were able to shrug off a busy week which saw them play over in Lae last weekend for Country Week to run in three second-half tries; including one to the experienced Adex Wera in the final minute of the game to secure the result. 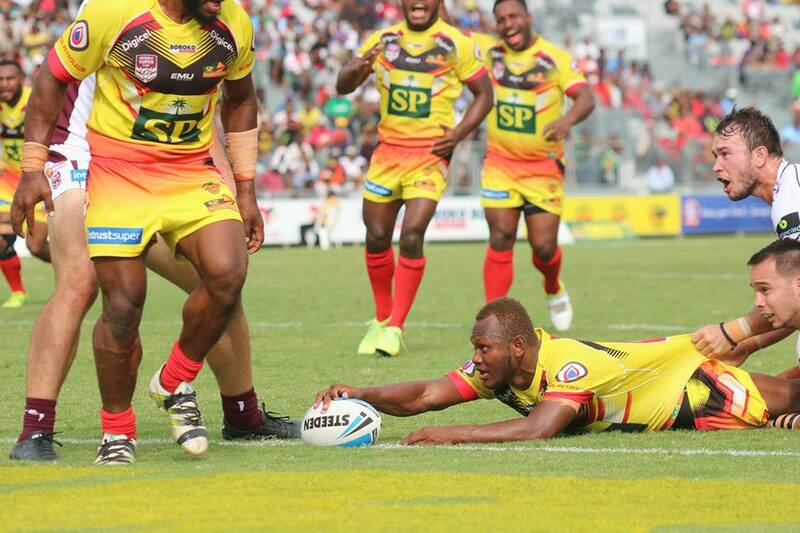 PNG HUNTERS 20 (Wartovo Puara, Charlie Simon, Thompson Teteh, Adex Wera tries; Ase Boas 2 goals) def BURLEIGH BEARS 10 (Troy Leo 2 tries; Jamal Fogarty goal) at Oil Search National Football Stadium, Port Moresby.